In 2016, the Medical Innovations Pathway (MIP) program was launched. MIP connects high school students with the science, engineering, and technology skills necessary for a career in life-science fields. In 2017, Utah Gov. Gary R. Herbert announced the MIP program had expanded to include the Tooele County School District. Last year, Governor Herbert announced 2018 as the Year of Technical Education. The Year of Technical Education is focused on key initiatives to make technical education programs more accessible to students, strengthen partnerships with industry and across education agencies, and improve the transferability of training. 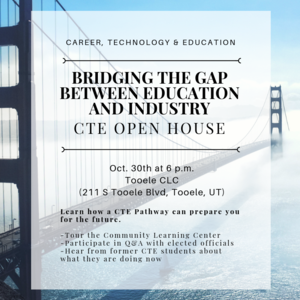 CTE classes available in the Tooele CLC are: Protective Services, Dental Assisting, Medical Assisting, Certified Nursing Assistant, Bio-Tech, Pharmacy Tech, Culinary Arts, Cosmetology, Graphic Arts, Robotics and Information Technology. 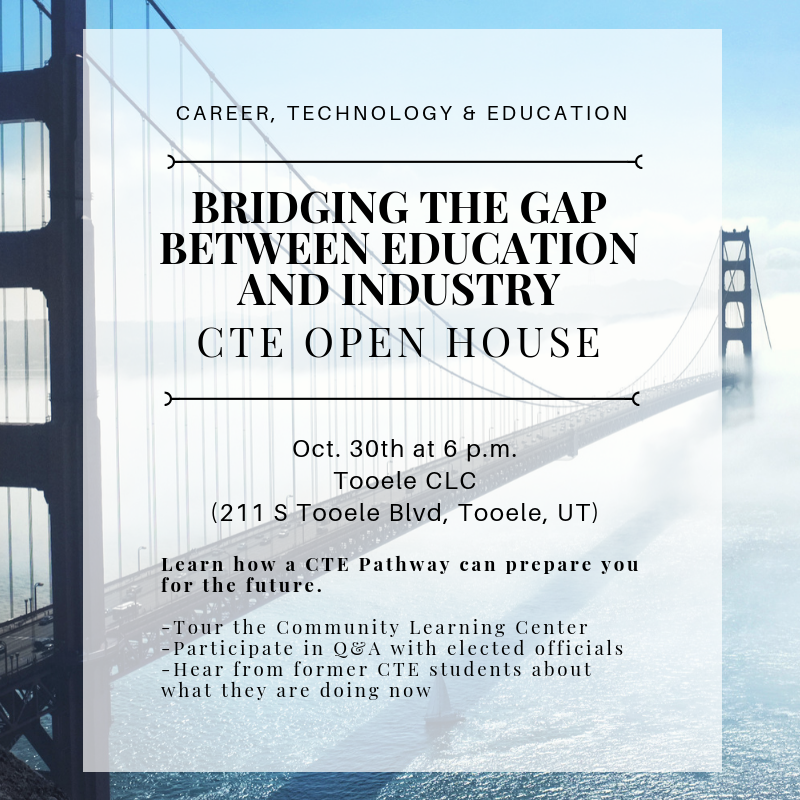 CTE programs are supported at the federal level by the Carl D. Perkins Career and Technical Education Improvement Act, which provides $1.1 billion in state grants annually to serve more than 14 million students nationwide.